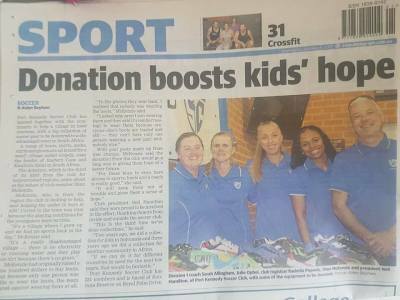 Port Kennedy Soccer Club has been proud to support local schools including Port Kennedy Primary School and also Safety Bay Senior High School (Singapore 2018 trip). Other community support includes: Nightfields Program, Headspace, Rocky Bay, JDRF, Fiona Wood Foundation. 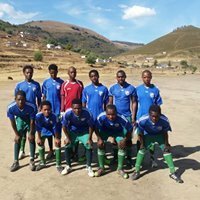 We have also been the proud supporter of ABC United, a Football team in South Africa sending much needed footwear and ex PKSC Kits to help these young Footballers bring their dreams of playing Football to reality.